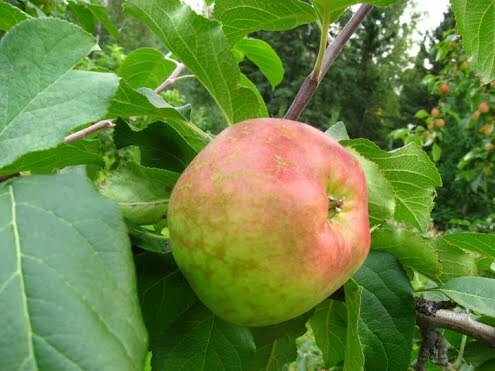 A large apple bred by Mr. Lloyd Lee in Alberta. Ripens early September and is abot 3" in diameter. Russeting is common in these apples. A good eating apple, crisp and tart. Rated fairly well in the University of Alaska trials.